We're seen some excellent Amazon Prime Day deals today – and here's another. Amazon US has slashed the price of the top-class Samsung Galaxy Tab S3 by almost a third. 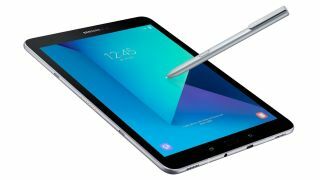 Samsung's newest tablet has the likes of the iPad Pro and Surface Pro in its sights. Headlined by an HDR-ready screen, four powerful speakers and an upgraded S Pen (although you’re going to have to pay for the keyboard), it’s a stunning piece of kit. The AMOLED display allows for much richer colours, deeper blacks and a more immersive screen, and HR footage looks incredible - watching video on the go is unparalleled. Add in a powerful processor, and good options for adding additional storage, and the Samsung Tab S3 is a handy tablet for when you’re out and about.